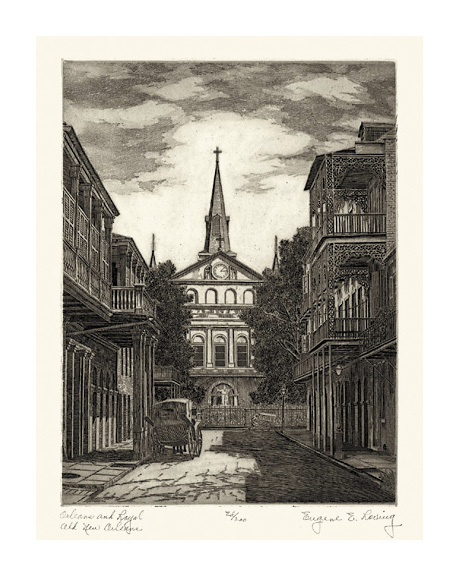 Orleans and Royal, Old New Orleans -Tc.1940, Etching. 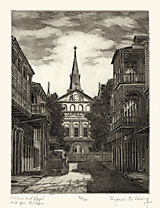 Edition 200. Signed, titled and annotated Ed/200 in pencil. Image size 9 13/16 x 7 5/16 inches (173 x 186 mm); sheet size 12 7/8 x 10 inches (327 x 254 mm). 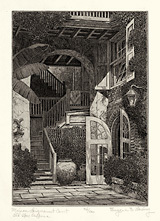 A fine, rich impression, on cream wove paper, with full margins (1 3/8 to 1 1/2 inch), in excellent condition. 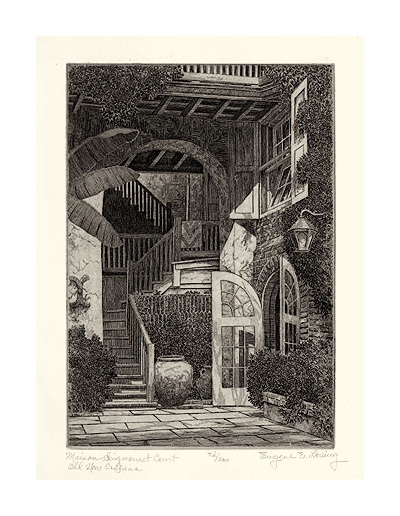 Maison Seigneuret Court, Old New Orleans -Tc.1940, Etching. Image size 10 x 7 inches (254 x 178 mm); sheet size 12 5/8 x 9 7/8 inches (321 x 251 mm). A fine, rich impression, on cream wove paper, with full margins (1 1/4 to 1 7/16 inch), in excellent condition.